Tupello Property Services can carry out a thorough assessment of your commercial site and install heating systems that are specifically tailored to the requirements of your business. We focus on improving the energy efficiency of your heating system – that way we keep your bills under control and make sure you don’t pay unnecessary costs. Each type of commercial site and business has its own particular needs. We know what works best for each type of commercial property, ranging from warehouse, storage space, to gyms, offices. You might need particular areas heated whilst others aren’t so important – or it might be more efficient to have heating that operates only at certain times in the day. It’ll depend on what type of business you’re operating and whether you need to keep employees warm or whether you need to keep a constant temperature in a warehouse or distribution centre. Our Radiant heating is ideally suited for commercial sites where specific work spaces need to be warmed. That makes it useful for combined manufacturing sites and offices or design centres. You aren’t heating the entire building, just the points that need to be kept warm. If you need to heat a larger working area then warm air space heaters provide excellent performance. They give you an even distribution of warm air along with low running costs. 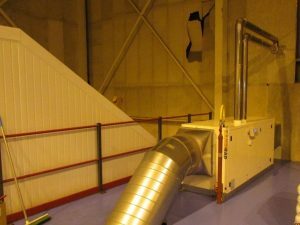 We can install de-stratification fans with the warm air space heaters that reuse the heat generated by sending it back down to floor level where it will be felt. We’ll give you plenty of advice on what we think will work best for your site. Our initial site visit and survey is free if you give us a call. For premises that do not have the benefit of an energy supply compatible with Radiant tube or Warm Air systems, there are now electrical radiant heaters. 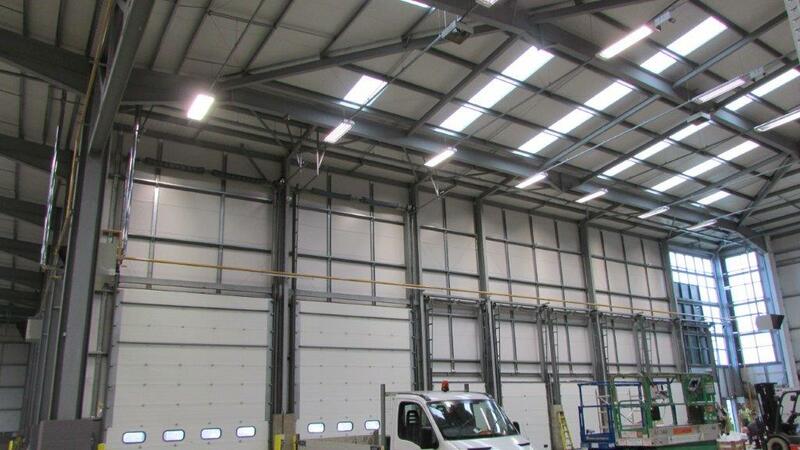 Warehouses & WorkStations can benefit greatly from our Infrared space heating solution. They are cost effective, highly efficient space heaters that will provide comfortable heating whatever your application. 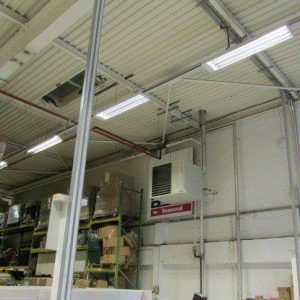 Depending on the size and needs of your warehouse there are Electric Radiant Heaters that offer zero-light ceramic heaters which are simple to install, silent in operation and require no ongoing maintenance.